America’s Paradise! No passport? No worries! 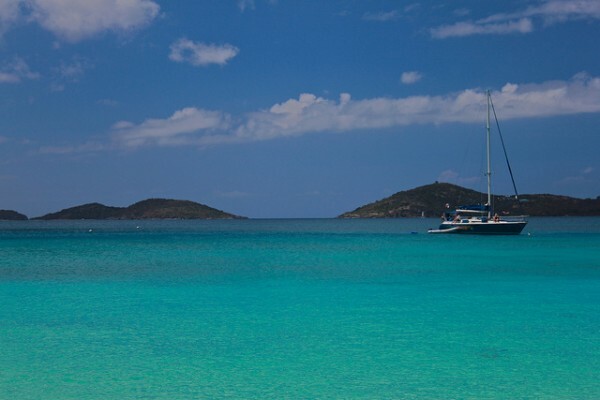 Destination Bar/Bat Mitzvah in The U.S. Virgin Islands! Your Bar/Bat Mitzvah Headquarters can be one of the USVI’s great resorts, or plan a family Caribbean Cruise that calls into St. Thomas and hold your Bar Mitzvah at the historic Hebrew Congregation in the port of Charlotte Amalie. Our choice for the ideal Bar/Bat Mitzvah headquarters: the spectacular setting, proximity to the Synagogue, and great amenities make Frenchman’s Reef and Morning Star Beach Resort a premier location for your multi-generational celebration. Both room-only and all-inclusive rates are available, as are private dining and reception rooms. Countless activities, water sports and 1/2 mile of pure white sand beach equals a stress-free getaway to America’s paradise. St Thomas is home to the spectacular 18 hole Mahogany Run golf course – we can arrange group play for your Bar/Bat Mitzvah guests. For teens, many watersports are available such as snorkeling, scuba, snuba, and parasailing…even usually-bored teenagers will be delighted! Contact Ellen now to explore your Virgin Islands Bar/Bat Mitzvah options! A beautiful facility with hotel and villa options – excitement for everyone in the family. Their full service Westin Kids Club is paradise for children ages 3 and up. St. John, just a short ferry ride from St. Thomas, features the spectacular Virgin Islands National Park, encompassing underwater areas that teem with marine life, gorgeous white sand beaches and acres of lush green forests. There are also historical treasures including Pre-Columbian Amerindian settlements, Danish colonial sugar plantation ruins, forts and a marine railway. Contact us to learn more about this idyllic Bar Mitzvah Vacation! Cruise Adventure with Bar/Bat Mitzvah in the U.S.V.I. It’s possible to include your Bar/Bat Mitzvah celebration in a day excursion, while cruising onboard a luxury ship such as Royal Caribbean’s Oasis of the Seas. Disembark at the port of Charlotte Amalie, proceed to the synagogue for your Bar/Bat Mitzvah services, enjoy a celebratory lunch and return to the ship for an evening departure. Your Bar/Bat Mitzvah ceremony will take place at the historic St. Thomas Hebrew Congregation synagogue in the town of Charlotte Amalie. The community has a long and storied history; famous members of the synagogue who were born in St. Thomas include the painter Camille Pissarro, the father of French Impressionism, and David Yulee Levi, the first senator from the state of Florida. The St. Thomas Synagogue staff will treat your child’s Bar/Bat Mitzvah with careful and serious attention. The building dates back to the eighteenth century, and is a treasure-house of Jewish history and tradition. The Hebrew Congregation welcomes our Bar/Bat Mitzvah families with reverence and a vibrant island hospitality. Read a heartwarming story about one family’s experience with Bar Mitzvah Vacations and this friendly synagogue. Contact Ellen for more information on a Virgin Islands Destination Bar/Bat Mitzvah. Your child can perform a Mitzvah by participating in a community service program at a school or non-profit organization in the Virgin Islands. Once your Bar/Bat Mitzvah date is set, Bar Mitzvah Vacations will assist with all your plans, including working with synagogue staff to help choose a community service project. Bar Mitzvah Vacations counselors are expert travel agents and event planners. Every detail of your family’s experience gets personal attention from our knowledgeable staff. Dates are available for 2013, 2014, and 2015! Questions? Ellen Paderson of Bar Mitzvah Vacations is happy to address any questions or concerns you may have in your quest for the ideal Bar/Bat Mitzvah celebration for your child. Email Ellen or phone 508-238-4088 to discuss the Destination Bar/Bat Mitzvah option. She’s the expert at tailoring this important event to the needs and desires of your family!